On the night Donald J. Trump was elected president, Nikishka Iyengar sat in her East Atlanta living room surrounded by many of the friends and housemates who function as her second family in the U.S. It was like any other night at the Guild, the residential incubator she started last year for social entrepreneurs like herself. But as the dystopian reality of a Trump presidency rolled in with the election results, a dark cloud descended.“Honestly, it felt like a betrayal,” says Iyengar, an India native who moved to the U.S. from Singapore a decade ago to attend college. Since then she has invested her life’s work here, becoming a sought-after sustainability strategist responsible for helping major corporations around the world reap more than half a billion dollars by conserving energy, water, and waste. She’s focused on bringing similar sea change to her adopted home of Atlanta through increased cultural inclusivity and equity. The imperative to stay woke might have received a harsh wake-up call, but it’s only reinforced Iyengar’s commitment to expand the Guild’s social impact mission in 2017.“It’s not like the election results told us anything new — racism, xenophobia, misogyny, injustice, etc. — those have all existed,” she says. 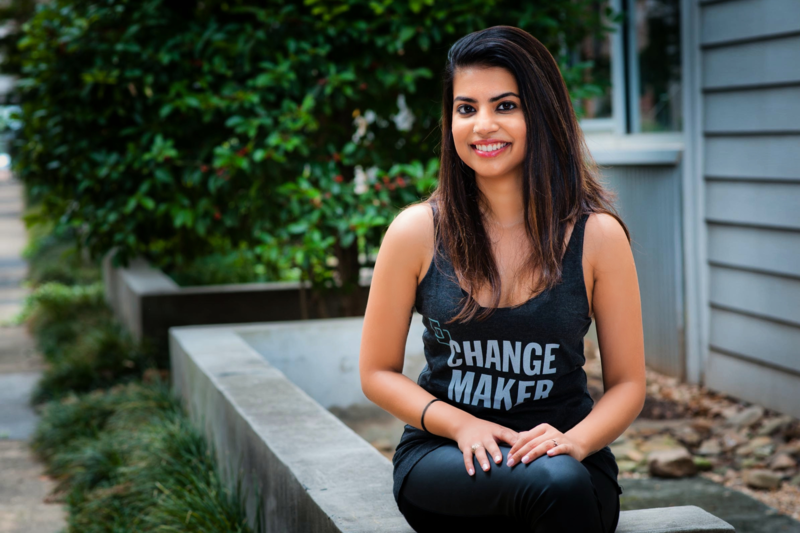 “We’ve known this, and those are precisely the issues we’ve been working on.”Iyengar had always felt the pull to dedicate her life to something bigger than herself, but it wasn’t until she moved to Singapore at age 14 that the socioeconomic and environmental disparities became clear. “When you grow up in a place like India, it’s easy to become numb to things like poverty and squalor, because it’s all around you, everywhere you look. It took leaving Mumbai to wake up,” she says. Her passion for combining business solutions with social impact work took her from micro-financing women entrepreneurs in Bangladesh to consulting corporate clients on the value of pursuing a triple bottom line — not just financial, but social and environmental.Inspired by a diverse student co-op in which she resided while attending the University of Texas at Austin and hacker houses typical in Silicon Valley, Iyengar wanted the Guild to be part startup accelerator and part communal cooperative. That model could provide an affordable, holistic environment for the growth and development of social entrepreneurs. She found a home for sale in East Lake Commons, a co-housing community, and her vision began to materialize.For the Guild’s inaugural class last year, she selected three diverse resident applicants whose combined interests represent a range of local issues, including early stage female entrepreneurship (Ladypreneur League), sustainable housing (Tiny House Atlanta), and Atlanta’s creative economy (former CL People to Watch profilee Bem Joiner). She plans to open another Guild house in a different neighborhood this year to bring together natives, transplants, and entrepreneurs from the refugee community. Yet Iyengar’s own future also lies in the balance.Being a highly skilled foreign-born employee means her immigration status is secure, as long as Trump’s proposed reforms don’t include potential new limits on the federal visa program. And that’s the irony. Despite investing so much in this country — as a homeowner, taxpayer, environmental sustainability expert, and local change agent — Iyengar’s ability to positively impact America’s future hinges on the whims of a president elected via a wave of nationalistic fear-mongering.